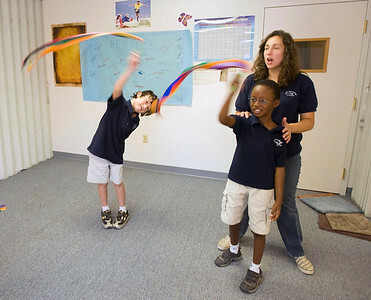 Worthy deQuilettes (left) and Justin Wilborn sing a song and use streamers to feel the rhythm in their Vivo class with Tracee Prillaman, director of Da Capo Institute and a Vivo instructor. 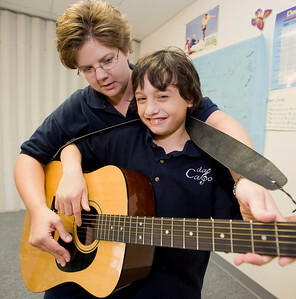 Worthy deQuilettes looks like a Guitar Hero as he strums a song with some help from Heidi Thurmond, lead instructor for Vivo. 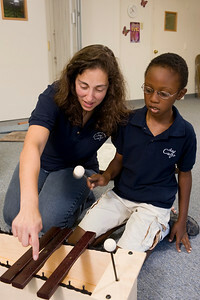 Worthy deQuilettes plays a song in two octaves on the xylophone as Tracee Prillaman, director of Da Capo Institute and a Vivo instructor, looks on. 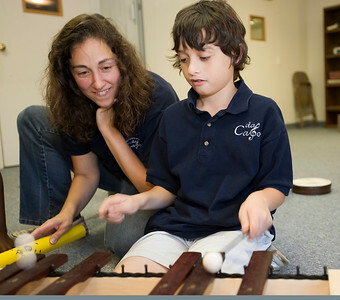 racee Prillaman, director of Da Capo Institute and a Vivo instructor, teaches music-making skills on the xylophone to Justin Wilborn. 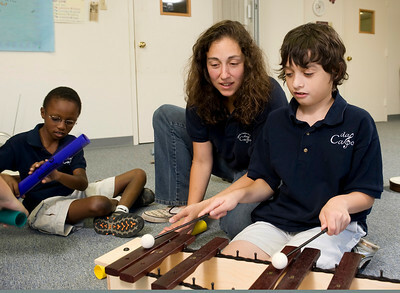 Teachers and students enjoy making music together with a xylophone and mallets at Vivo. From left are Heidi Thurmond, lead instructor for Vivo, Justin Wilborn, Tracee Prillaman, director of Da Capo Institute, and Worthy deQuilettes. 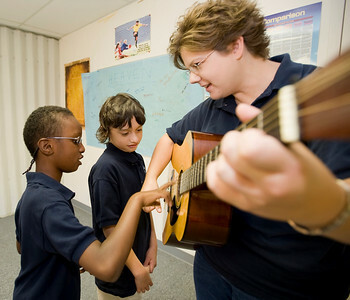 Justin Wilborn (left) helps Heidi Thurmond, lead instructor for Vivo, play a song on the guitar, while Worthy deQuilettes waits patiently for his turn. 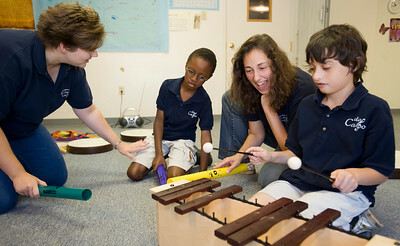 Tracee Prillaman (center), an instructor for Vivo, watches Worthy deQuilettes (right) strike up a tune in two octaves on the xylophone, while Justin Wilborn provides background rhythm with a mallet. 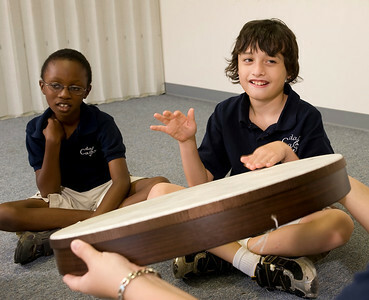 Justin Wilborn (left) and Worthy deQuilettes (right) listen to The Toreador Song from the opera “Carmen,” and create a drum beat to match the song’s rhythm during their Vivo class. 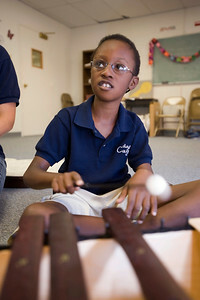 Justin Wilborn listens carefully to instructions about playing a song on the xylophone during his Vivo class.